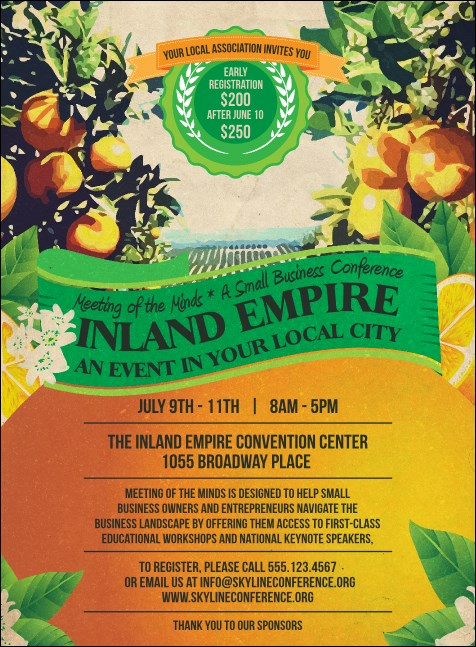 Let your pre-event advertising flow through the mountains and valleys for your next Riverside event when you print Inland Empire Invitations and send them out to your guest list in advance. Help your event blossom with the fruit of higher ticket sales with Invitations that feature an orange grove background design and bright green accents. TicketPrinting.com helps you move your advertising empire in!